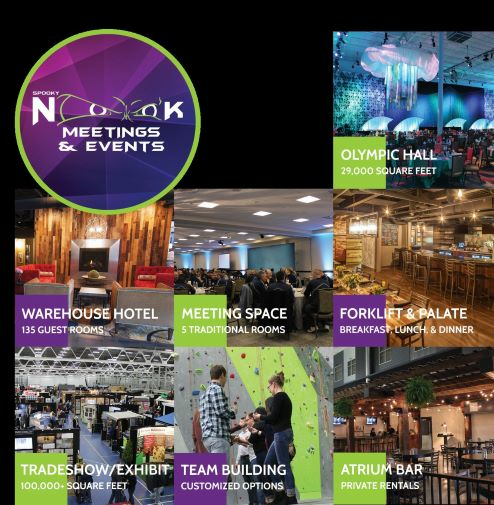 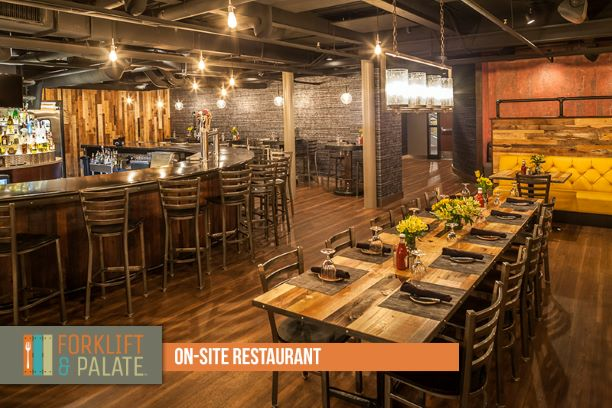 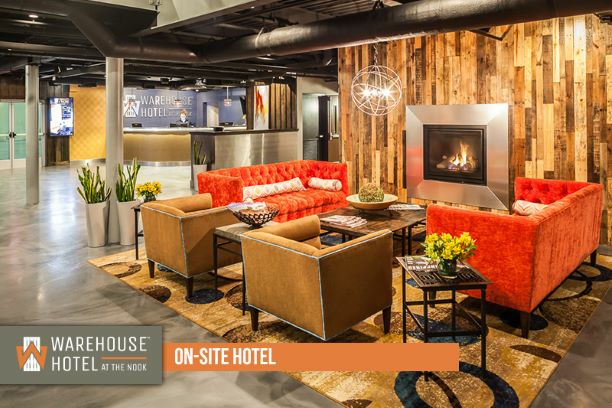 Whether weekday or weekend, The Nook is the perfect venue for your next corporate or business event. 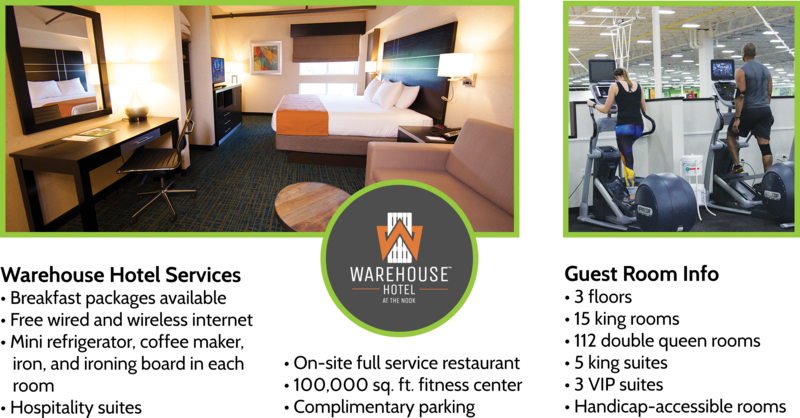 Put on a presentation that keeps attendees engaged with in house audio & visual systems and flexible meeting spaces. 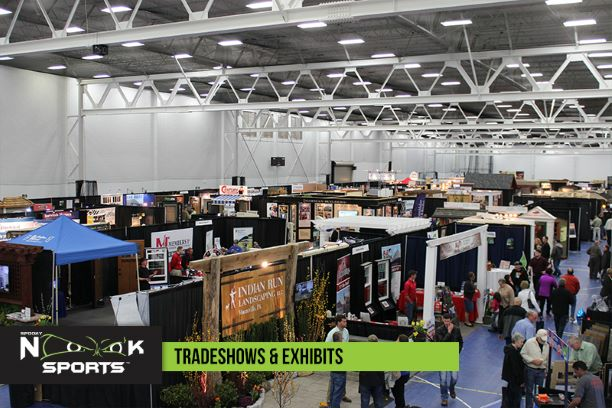 Turn larger spaces into networking events or a vendor show. 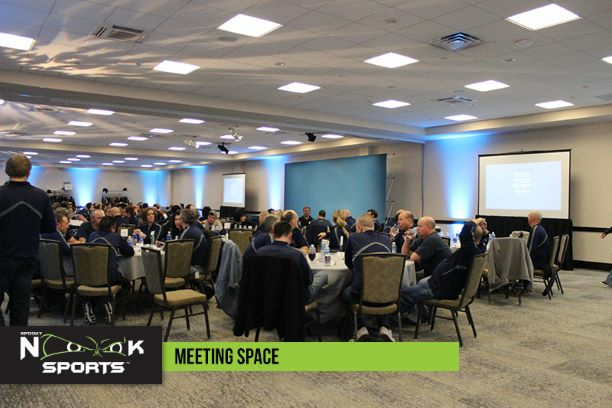 Transform small rooms into breakout sessions. 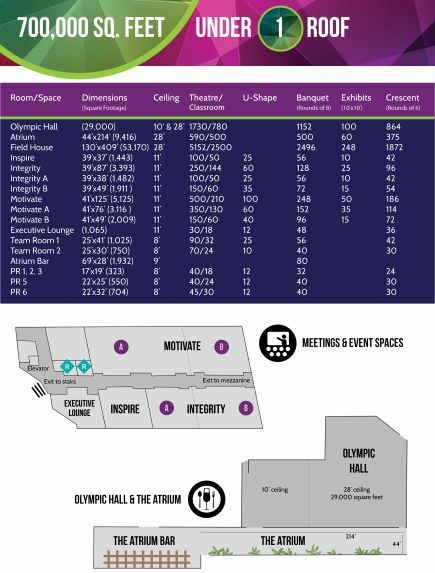 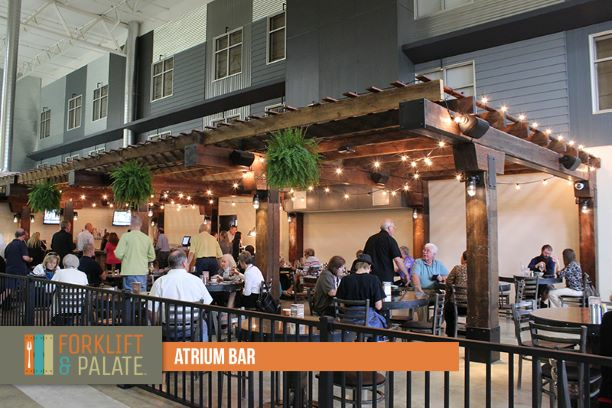 Make your event unique with gourmet catering options and access to our huge indoor sports complex. 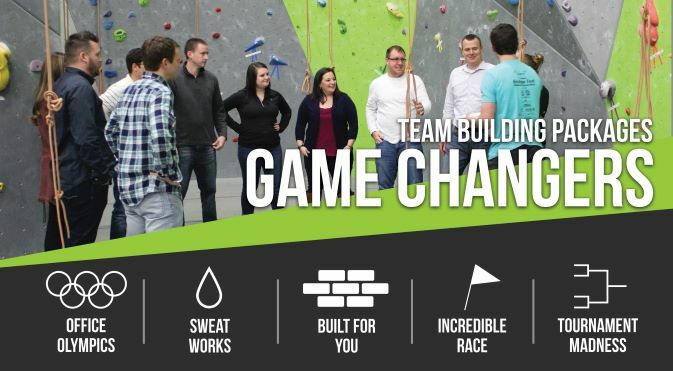 Where else can a business meeting include climbing a rock wall? 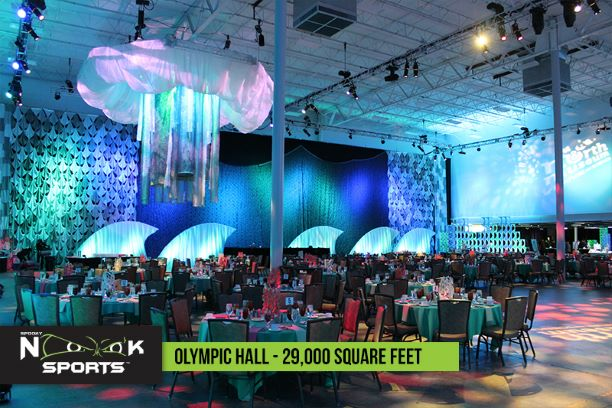 No matter what you plan, breathe easy and let our experienced staff make your event one your VIPs won’t forget. 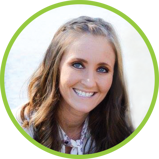 Request information from Danielle about corporate and business meetings at The Nook. 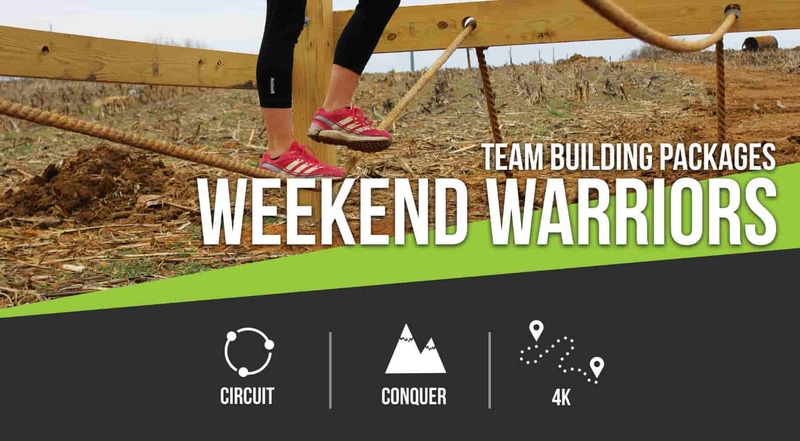 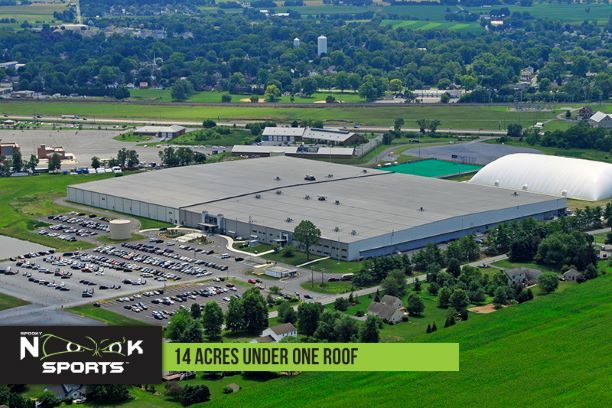 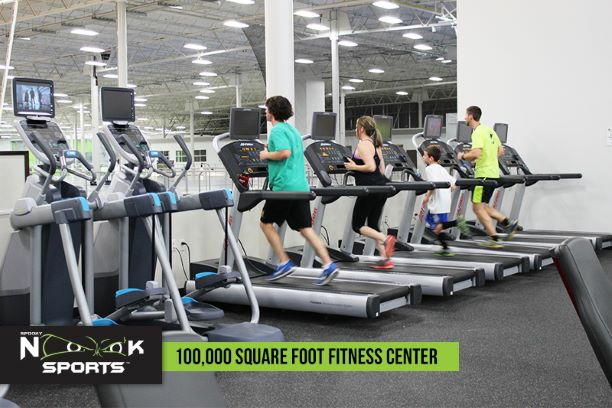 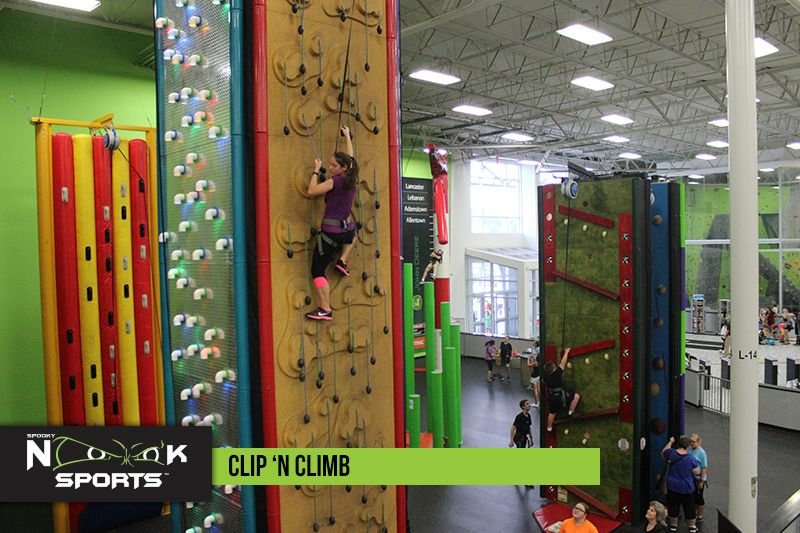 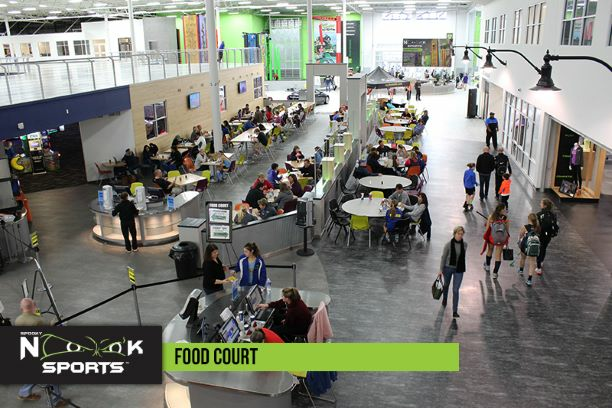 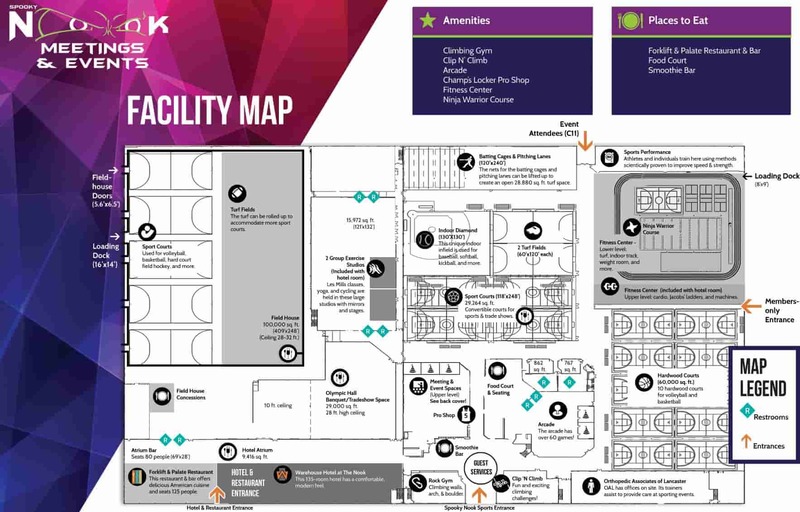 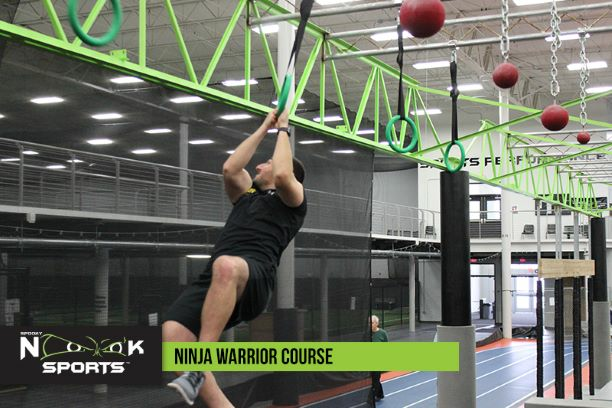 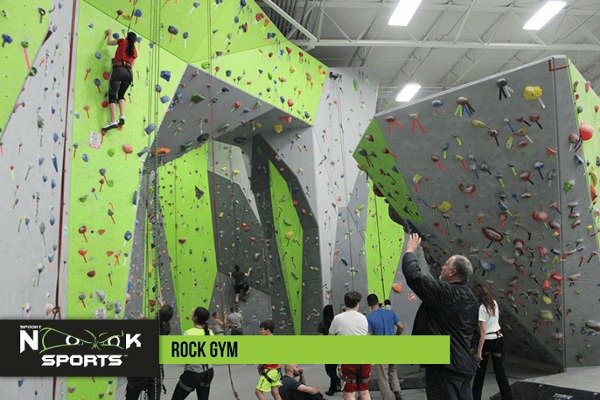 You’ll find a generous menu of activities that can bring your team together at Spooky Nook Sports, the largest indoor sports complex in the United States. 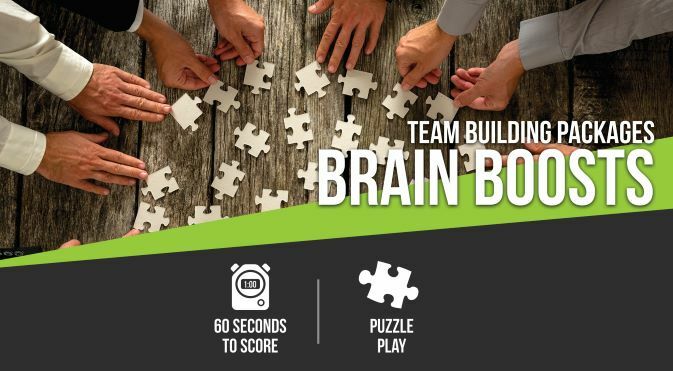 We make team building fun and rewarding. 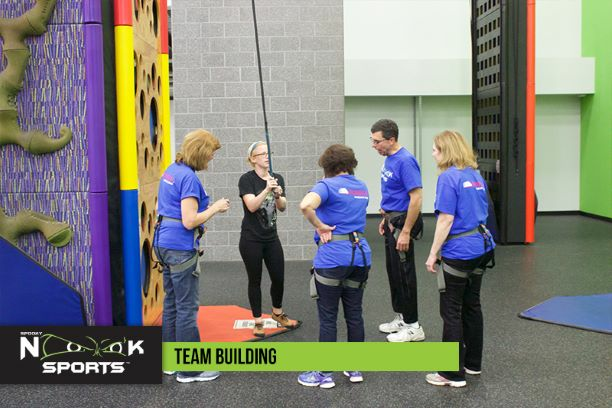 You and your group can participate in just one activity or you can make arrangements for your group to participate in several fun-filled activities.